Using God’s Word and our relationship with Him to live a life full of joy, free from worry, and reflective of His love! Becky Baker brings powerful, life-changing seminars on how to shine like a star in every avenue and area of your life, becoming a mirror image of Christ as you reflect His Glory. She has learned that obedience to God's Word and an intense desire to be like Jesus and follow Him are the absolute keys to real joy and the only way to buffet life's storm. Becky speaks as an Educator, Author, Comedian, Mother, Wife and Growing child of God. 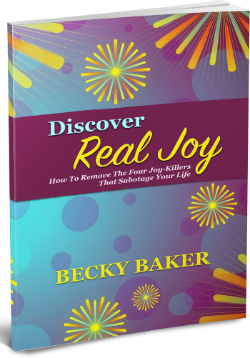 In one of the most fun events you will ever attend, Becky teaches people how to discover the humor in life! She will have your group laughing, singing, and joining in on the humor as she intertwines the joy in life with a more complete understanding of the marvelous character of God and our relationship to Him. Sitemap | Website design by Karen Power.